MotorDog69’s Harley Timing Cover Coin Mount with “Soldier's Cross” coin. · USA Patented and Engineered, Show Chrome Plated. 2 hole Timing Covers also available for Evo, Sportster, and some S&S engines, please specify in the dropdown menu below the sales price on this page. 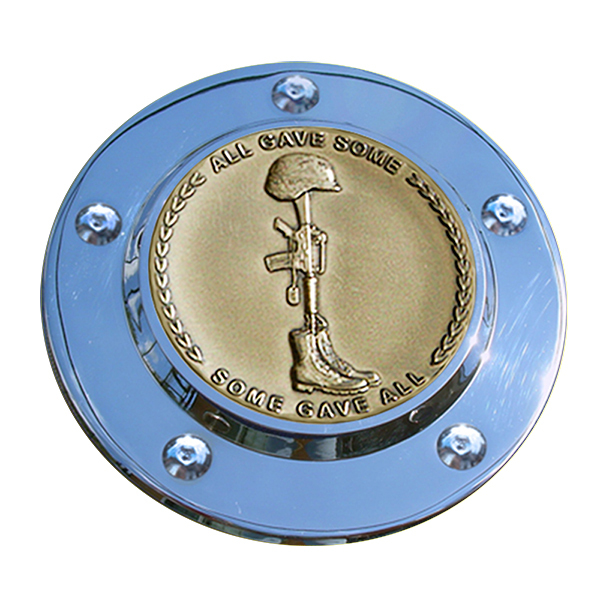 · Bundle Includes; Timing Cover Coin Mount, Challenge Coin Shown, 5 New Stainless Steel Screws and Easy to Follow Instructions. Personalize Your Ride Today!